Opening an individual retirement account (IRA) can put you on the fast-track to a fully-funded, stress-free retirement, but an IRA is only as good as the place you keep it. The broker you choose to house your IRA can affect what investments are available to you, how much you pay in fees, and ultimately, the returns you earn on your account. Check out the article below for more on the best brokers for IRAs. TDA is one of our few 5-star all-around brokers, and it keeps that top rating for IRAs with its large amount of commission-free ETFs and mutual funds, along with strong sign-up promotions. Fidelity is a top option for IRAs with thousands of no-transaction fee mutual funds and hundreds of commission-free ETFs, along with no account fees or account minimums. Seamless integration and added perks make Merrill Edge a top IRA option for Bank of America customers. While we’d like to see it offer no-fee ETFs to everyone, Merrill scores points for no account minimums and a wealth of no-transaction fee mutual funds. 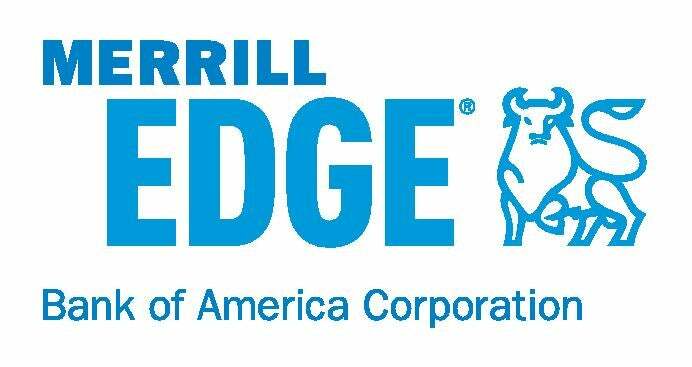 Get up to a $600 bonus when you invest in a new Merrill Edge account. E*Trade is a strong option for IRAs with hundreds of commission-free ETFs and over 4,000 no-transaction-fee mutual funds. Additionally, they don’t have account minimums for IRA accounts. 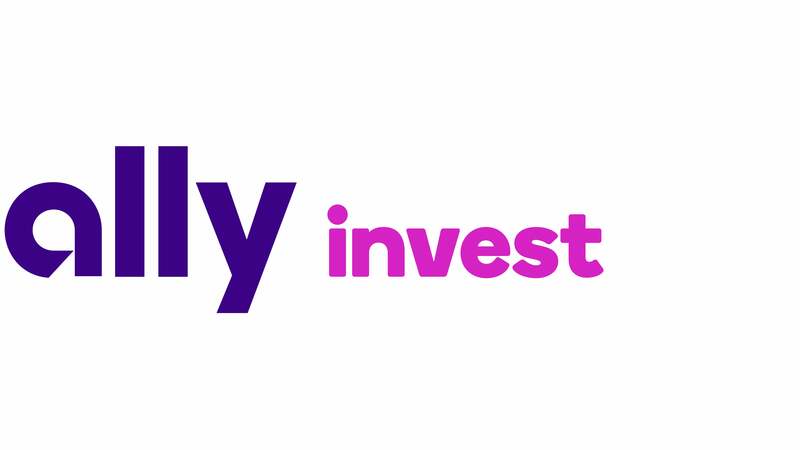 Low fees, no account minimums, and over 100 commission free ETFs make Ally an attractive place to park your IRA funds, though it doesn’t offer any no-transaction fee mutual funds. Schwab sports hundreds of no-commission ETFs and the largest amount of no-transaction-fee mutual funds of any broker we evaluated, and individual stock trades are just $4.95. One improvement would be better sign-up promotions. 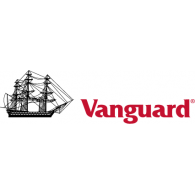 Vanguard gets dinged slightly in our model for having high-ish account minimums for some of its services and an often-pricey fee structure for individual stocks, but it remains the gold standard for index funds and ETFs. What are the contribution limits for IRAs? When can you make IRA contributions? An individual retirement account (IRA) is a retirement savings account that can be used to hold investments in a tax-efficient manner. One of the biggest benefits of an IRA is that, unlike a 401(k), it isn’t tied to your employer, and offers way more flexibility in how you invest your money for the future. Traditional IRA -- A traditional IRA is one in which you make pre-tax contributions to the account, and pay taxes on any amounts withdrawn in retirement. Traditional IRAs are best for people who expect to be in a lower income tax bracket in retirement. For example, someone who is in the 22% tax bracket today but expects to be in the 12% tax bracket at retirement would benefit from avoiding a 22% tax on their income now and paying only 12% when they withdraw. Roth IRA -- This type of IRA is one in which you make post-tax contributions and do not pay any taxes on amounts withdrawn in retirement. Roth IRAs are best for people who expect to be in a higher tax bracket in retirement. For example, someone who is in the 12% tax bracket today but expects to be in the 22% tax bracket at retirement would benefit from paying 12% taxes now to get tax-free withdrawals later. SEP IRA -- This type of IRA is for self-employed individuals, including contractors and freelancers, and small business owners. SEP IRAs are treated like traditional IRAs for tax purposes, meaning that contributions are made with pre-tax dollars, and withdrawals are taxed as income in retirement. The primary advantage of a SEP IRA is that it has a substantially higher maximum annual contribution amount than a traditional or Roth IRA. An IRA offers several major advantages over a traditional brokerage account. When deciding between a brokerage account vs. an IRA, the primary difference comes down to how your investments are taxed, which can have a huge impact on the ultimate value of your investments. In a traditional brokerage account, any dividends, interest, or capital gains are taxable, whether you withdrawal the proceeds or not. Thus, if you sell an investment that has appreciated by $5,000, you would owe taxes on the $5,000 gain. An investor who pays 20% taxes on long-term capital gains would thus have only $4,000 to reinvest after paying $1,000 in taxes. With a traditional IRA, you only pay taxes when you withdraw from the account. So, if you sell an investment that has appreciated by $5,000, you won’t pay taxes on the gain unless you withdraw the money from the IRA. That allows you to lock in a gain, and reinvest the money into another investment without paying taxes in between when you contribute, and when you withdraw in retirement. Likewise, a Roth IRA isn’t taxed at all, because it is funded with post-tax dollars. So, if you have a $5,000 gain on an investment, and you sell it, you could withdraw the money in retirement without paying taxes on the gain. A simple example can really illustrate the benefits of using an IRA over a taxable account. We’ll assume you start with a $5,000 balance, and pay 20% on any capital gains. We’ll also simplify the scenario, and assume that every time your account balance doubles, you sell your investments and reinvest elsewhere (thus triggering taxes for the taxable investor). Realistically, most people don’t employ such a strategy (selling everything each time their balance doubles), but many investors frequently sell stocks or funds to rebalance their stock and bond allocation, or to shift assets from high cost funds to lower cost funds, among other reasons. As you can see, the taxable account rapidly falls behind the IRA because of the tax drag. When the IRA balance doubles, the taxable account balance increases by only 80%, due to the 20% tax applied to capital gains. This difference may seem small, but as you can see, it really adds up as your investments appreciate and your account balance grows. We think discount brokers (the brokers you see on our list) are the smartest place for individual investors to open an IRA. That’s because discount brokers have substantially reduced the cost of investing, which helps individual investors save more for retirement. Over time, the price of investing has only declined. Thirty years ago, one might pay $40 to place a trade through a discount broker. Ten years ago, the standard price was $10 to $12. Today, virtually all brokers price trades at $7 or less. As time goes on, the cost of investing should only decline even further. Not all brokerage firms have reduced their trading prices, however. Many full-service brokerage firms still charge $100 or more per trade, while others clip massive commissions on mutual funds, equal to a percentage of the amount you invest. In theory, these high fees and commissions help traditional brokerages offer more hands-on attention and advice on which stocks or funds to buy. In practice, high commissions also encourage brokers to sell products that carry higher commissions, so as to maximize their own compensation. We think that self-directed investors can do better on their own by selecting their own investments and putting the cost savings in their own pockets. If you'd like to compare top brokerages, see our expert reviews of the best online stock brokers. While an individual retirement account offers more investment choices than virtually any other retirement account, the investments you can buy inside your IRA are ultimately limited by the selection your broker offers. Many investors use funds to simplify their IRA into a few key holdings. With just three funds, an investor could easily own every U.S. stock, every foreign stock, and top it all off with a broadly-diversified bond fund. If you use mutual funds and exchange-traded funds to build a portfolio, you’ll want to be picky when choosing a broker. That’s because mutual fund availability can differ from broker to broker. When it comes to ETFs, some brokers allow you to trade certain ETFs commission-free, while others don’t offer commission-free funds at all. Commission-free ETFs can be a make-or-break feature for some investors, since the commission savings significantly reduce the cost of investing for people who plan to add to their accounts over time. If you plan to add money to your IRA four times a year, and invest in three stocks or ETFs each time you do, you’d incur about $60 to $84 in trading costs (12 trades per year × $5 to $7 per trade = $60 to $84). Choosing a broker that offers a large assortment of no-transaction-fee mutual funds and commission-free ETFs can help you avoid this expense, which is particularly advantageous for people who are just starting out. Investors who plan to invest in individual stocks in their IRAs can be less discerning when picking a brokerage. That’s because virtually all brokers offer the same basic ability to buy or sell shares of companies listed on U.S. stock exchanges. Investors who want to buy and sell individual stocks may find commissions, functionality of the broker’s platform, and other features as being more important than fund investors do. As you can see, our picks for the best IRA brokerage firms all charge about the same amount for an ordinary stock trade, as most brokers price their trades at $4.95 or $6.95 per trade, or somewhere in between. Given the modest differences in prices, you’d be excused for picking…say, Merrill Edge because it can be linked to your Bank of America checking account, or selecting Charles Schwab because you already use it as your online bank. Convenience is often worth more than just a couple bucks here and there. Brokers recognize that not everyone has tens of thousands of dollars to commit to the markets immediately, so many allow clients to open an account with a small deposit, while others have no minimum deposit requirement at all. A saver younger than 50 years old can set aside up to $5,500 in a traditional or Roth IRA in 2018, which is roughly equal to $106 per week, or $213 per paycheck for those who are paid biweekly. Thus, a new investor could get started today, drop $213 into the account upon opening it, then schedule biweekly contributions into the account for about $213 every two weeks thereafter. People who are 50 years old or older can contribute up to $6,500 in 2018, or $125 per week, or $250 per bi-weekly paycheck. The amount you can contribute to an individual retirement account depends on the type of the account, your income, and in some cases, your age. The maximum contribution amounts for 2018 are detailed in the table below. People who qualify for a SEP IRA can also double dip by using a traditional or Roth IRA and a SEP IRA, thus increasing the total maximum amount they can set aside each year. IRAs contribution limits follow a weird calendar because you can contribute for any given year up to the tax filing date for that year. For example, if you want to make contributions for the 2018 tax year, you have until Monday, April 15, 2019 to make contributions. The timeline extends to the tax filing day for tax planning purposes. Some people wait until tax time to figure out whether it makes sense to contribute to a traditional IRA, Roth IRA, or both. Yes. Many people think they can only have one IRA, but this is simply untrue. You could have 100 IRAs if you wanted to, though you probably wouldn’t want to, because administering that many accounts would be really cumbersome. Importantly, having more IRAs doesn’t mean that you can contribute more money. If you have 3 traditional IRAs, your contribution limit applies to all of them. Thus, people who are younger than 50 years old could only contribute $5,500 combined in 2018, while those who are 50 years old or older could only contribute $6,500. Thus, a 30 year old could contribute $3,000 to one IRA and $2,500 to another ($5,500 total), but they couldn’t contribute $5,500 to both ($11,000). One big perk of individual retirement accounts is that you can rollover balances from an employer-sponsored plan like a 401(k) into an IRA. Many people open a rollover IRA when they change jobs, thus moving their retirement investments from a 401(k) to a new IRA. Direct transfer -- This is by far the easiest method. In a direct transfer, any investments you hold in a 401(k) or other retirement account can be simply moved to an IRA. You don’t have to sell your investments then move the cash over. If you own shares of several different mutual funds, for example, those shares are just moved from your existing accounts to your rollover IRA. Indirect transfer -- An indirect transfer can be messy. In an indirect transfer, your investments are sold and your 401(k) plan sponsor will send you a check for the balance. You then have 60 days to deposit the check into a rollover IRA. If you fail to make the deposit in time, however, the amounts you receive will be treated as a distribution from your 401(k) potentially resulting in taxes and penalties on the amount withdrawn. We recommend doing a direct transfer whenever possible, as it will minimize the effort required, and can potentially save you a fortune in transaction costs. Since some mutual funds can charge redemption fees equal to 1% of your assets, moving a $75,000 balance through the indirect method could cost you as much as $750 in fees. As financial nerds, we’ve written more than 2,500 articles that have appeared on websites including Yahoo! Finance, MSN Money, and USA Today. We save for our own retirement needs through IRAs we keep at discount brokerage firms, helping us maximize the number of investments available to us while minimizing the costs of saving for the future.